Promote Your Business Online Today At Ebimnageniusland For Free!!! 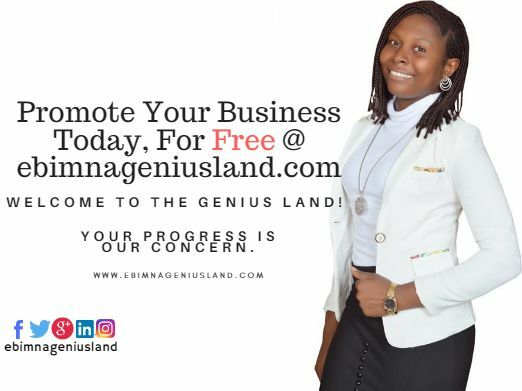 - You Are A Genius You Are A Genius: Promote Your Business Online Today At Ebimnageniusland For Free!!! It's a free day today in ebimnageniusland.com for every business owner, an employer of laborers, a small business owner, a CEO of a company, a sales manager, a content marketer, a producer, a writer, a blogger, a retailer, a hawker and all the unmentioned discipline all over the world to promote your business online here in our site. 1. 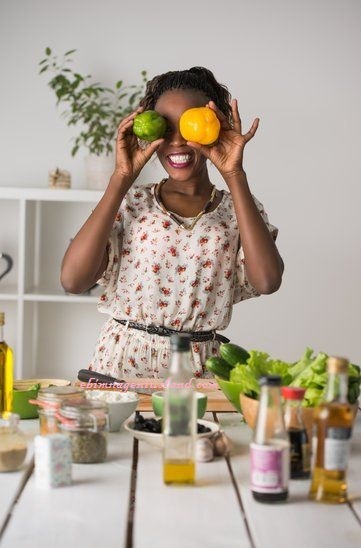 Tell us what your business is all about, like: what you sell, or what you produce. 2. If you need workers, indicate by dropping your mobile contact and address of your company. 3. You must not insult anyone who is doing a petty job for any reason, else your comment will be deleted temporary for some days. 4. You must check back this post every morning to know if there is any reply from your post. 5. You must make sure that your business is genuine, if we find out any report from anyone concerning your comment, it will be deleted permanently. 6. Be specific about your goal in business, by telling people specifically what you do. 1. Every business owner must have a valid e-mail address. 2. Your Phone number must be 24hours available. 3. You must be Honest with your customers. 4. Make sure a receipt is issued for any goods purchased. 5. Make sure that there is an agreement between an employer of labor and the employee before any transaction is made. ALSO: If you have no work doing, you can indicate the kind of job you want to do in case if there is any producer seeking for workers, make sure your number is written as well. NOTE: We are not going to be responsible for any loss of transaction made without getting necessary information needed to be gotten at far distant, before approaching the personnel. We are not responsible for your carelessness meeting someone you don't know in a secret place. Always make sure you meet at a public place for your own personal safety. Your safety and your progress is our concern. can you help promote my blog platform for free as you have said? Am A hair dresser, I need workers in my shop in Nigeria, Anmabra to be precise. Call me on 08162216568. More customers are need too. Great initiative, this will allow businesses to get intended exposure and drive conversions. Are you sure that you read the post at all? because your question sounds like, you just read the Title of the post! No offense please. Am A Dancer, please I need to connect with female dancers. contact me via my e-mail I used in commenting on this post. I'm genuine. No fake at all.